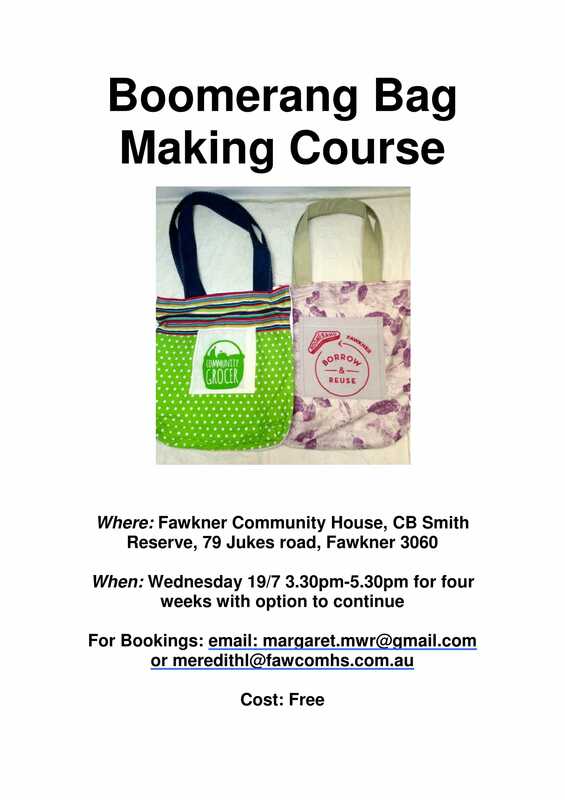 We are looking for expressions of interest in a Boomerang Bag Making Course at Fawkner Community House. The course will be taking place from Wednesday 19th of July, 2017 from 3.30pm-5.30pm for 4-6 weeks depending on interest at Fawkner Community House at 79 Jukes Rd., Fawkner. 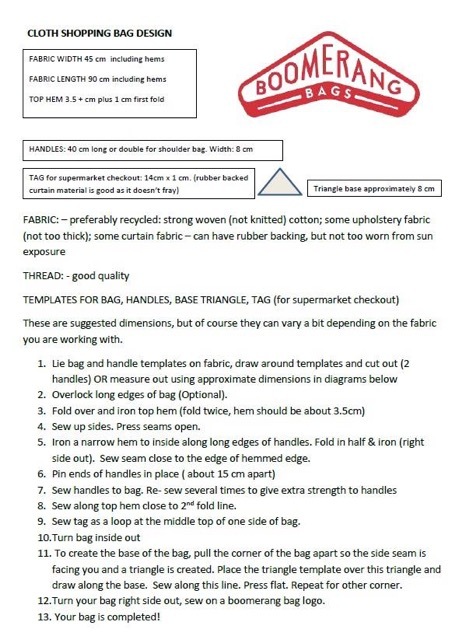 Cost: Free but donations for materials and cottons gratefully received. Limited spaces as only a few machines but anyone can bring along their own machine.